Dr. Nowell Solish, M.D., FRCP (C), graduated as a dermatologist from the University of Toronto and subsequently specialized in surgical dermatology training at the University of Toronto and the University of British Columbia. Dr. Solish focused on cosmetic and skin cancer dermatologic surgery during his education. Today, Dr. Solish is a recognized Botox specialist in Toronto. He is well known in the field of cosmetic dermatology and dermatologic surgery. Dr. Solish is well known for his work in cosmetic dermatology and the cosmetic injectables. Please visit Dr. Solish's specialty sites at: www.botoxclinic.ca and www.restylaneclinic.ca. Dr. Solish was one of the first cosmetic dermatologists to use injectable Botox, having worked closely with the physician who invented the technique. 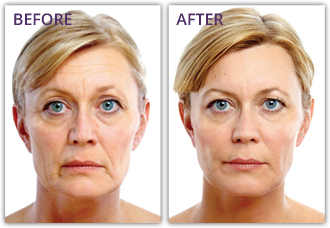 As a result, Dr. Solish devotes more of his practice to Botox treatments than many other physician-users in Canada. Allergan, the manufacturer of Botox, has designated Dr. Solish's facility a, "Centre of Excellence." A "Center Of Excellence" has been determined to have such a high standard of care that it may provide teaching instruction to other specialists who wish to learn Botox injecting. Academically, Dr. Solish is responsible for planning the surgical dermatology teaching curriculum for all medical students and doctors at various levels of training at the University of Toronto. He is also published in peer-reviewed journals, and lectures regularly on dermatologic surgery techniques at local, national and international medical meetings. Dr. Solish is one of the founding board members of the International Hyper- hidrosis Society [IHHS]: www.sweathelp.org. In addition to being director of The Cosmetic Care and Laser Surgery Centre, Dr. Solish is a co-director of the Non-Melanoma Skin Cancer clinic and the Laser Surgery Unit at Women's College Hospital and co-director of Dermatologic Surgery at the University of Toronto. Dr. Solish is an Assistant Professor of dermatology at the University of Toronto, and the Vice-President of The Canadian Society for Dermatologic Surgery. 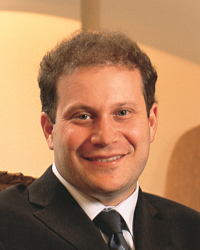 He is also a member of many societies including The American Society for Dermatologic Surgery. Dr. Solish is a widely-quoted media spokesperson on matters of surgical and cosmetic dermatology. His interviews have included appearances on Global Television, CBC Television and Radio, City TV and a regular spot as the resident dermatologist on a TV Ontario program.